Family members of Flight 3407 victims have fought tirelessly to strengthen airline regulations over the past decade. 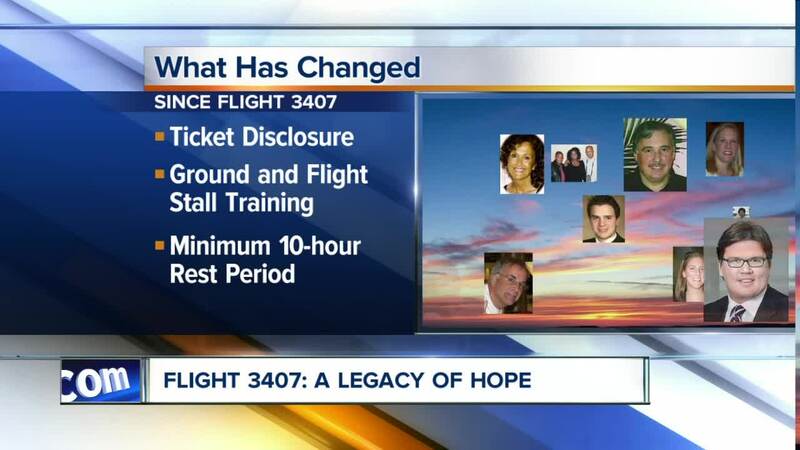 BUFFALO, N.Y. (WKBW) — Family members of Flight 3407 victims have fought tirelessly to strengthen airline regulations over the past decade. They've made major advancements in terms of pilot training and qualifications, but there is one safety regulation they're still waiting for. A comprehensive pilot records database would share information about each pilot among air carriers. 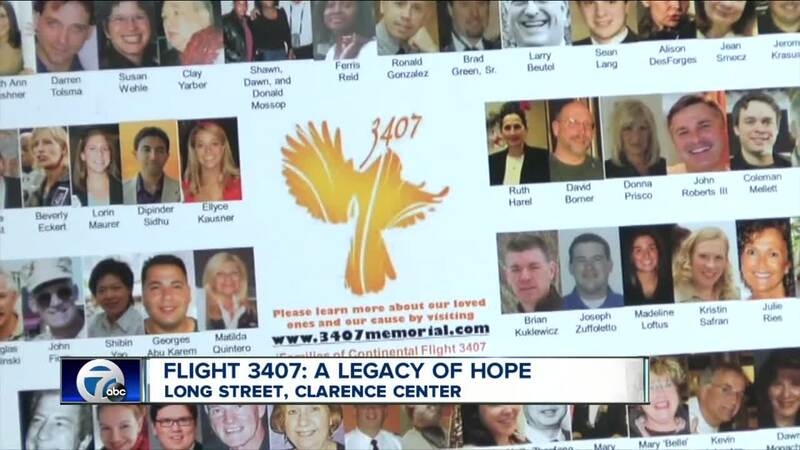 It's something that family members believe may have changed the outcome of Flight 3407. "Our pilot had failed five check rides. Which are basically drivers tests. Flight tests. He failed all five," explained John Kausner, who lost his 24-year-old daughter Elly in the crash. "The airline that hired him wasn't aware of that. Because they didn't have the data and they weren't required to go look for it." John and his wife Marilyn have visited Washington D.C. countless times since the crash, pushing for improved airline safety. They still grieve for their beautiful, smart daughter who was a law school student, but they want to make sure this tragedy doesn't happen to anyone else. The pilot records database would be a resource for all airlines, and a place to look back at a pilot's complete flight history before hiring them. An initial release of the database increased the availability of some records, but the families have pushed for more comprehensive and complete records to be made available. "In New York State if you're driving a school bus, I can look at your record from the time you were 16 to the day. It's very simple," John Kausner said. "So we've asked for that component. They've agreed to do it. It's lagging way behind. We thought it was going to be done last year, or the year before or the year before. It's so silly, these solutions are so simple." There's no timeline right now for the database to be officially implemented. Family members say their fight won't stop until it exists. Meantime, with the crash anniversary approaching, the Kausners are remembering Elly, and reflecting on the way her short life impacted their family. "We were forever changed. Changed in good ways," said Marilyn. "Because we don't take each other for granted. We don't miss an opportunity to be together. We don't leave hurt feelings unresolved. Because we know there are no guarantees."